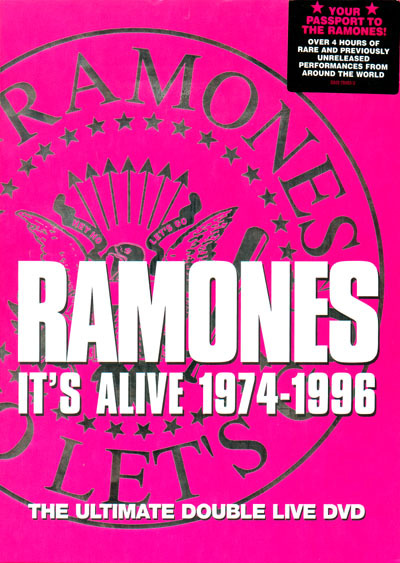 An excellent DVD, Produced and Directed by George Seminara, and pieced together by Tommy Ramone, this really is an essential purchase for anyone whoever loved The Ramones. It's been painstakingly put together, and the best thing I can say is that once both discs have been viewed, you just want to go back to the start and watch it all over again, it's that good! Various clips have surfaced over the years, but to see the quality on here is staggering. From a UK perspective there are the great clips I remember watching at the time from the Whistle Test and Top of The Pops, and much more. The personal highlight for me is the footage of the band live at The Rainbow, New Years Eve 1977. I remember buying the 'Its Alive' live album in 1979 from Fives in Leigh, and it absolutely blew me away. Pure adrenaline fuelled, blitzkrieg Rock and Roll. 'You're Gonna Kill that Girl', 'Commando' , Incendiary! The extras are a nice touch too, with rare videos from the band, and again I find myself really liking some of the Photo Gallery extras, especially by Jenny Lens on Disc 1. The shots really bring out the humanity of the band and it's a very moving section. I think watching this reminds me of what we all know - The Ramones were a very unique and truly great band, influential beyond words and inspiring to us all. Buy this disc and remind yourself why you love them so much. A great DVD and one that I can't recommend highly enough. 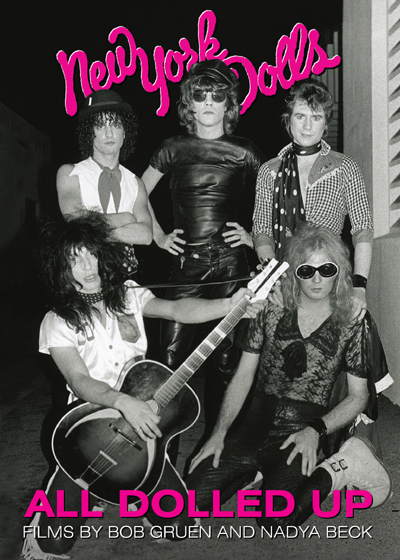 Bob Gruen was there from the beginning pretty much and managed to capture some staggering footage of the Dolls, both in Video and Picture format. I personally loved the 'Extras' section on this disc, especially Bob's Dolls photo gallery, where he explains the story around all the iconic shots he took of the band. I've seen most of these shots hundreds of times, so it was really good to be able to finally hear of the story surrounding them. Growing up in Southend, the demi-monde of the Dolls seemed such an exotic and fabulous place to inhabit, and this DVD confirms that when they were on form ,there was no one to touch them. There are some great performances on this disc, including 'Human Being', 'Bad Detective', 'Subway Train', 'Personality Crisis', 'Trash', 'Vietnamese Baby', 'Lookin For A Kiss', 'Jet Boy', 'Who Are The Mystery Girls', 'Private World', 'I'm A Hoochie Coochie Man', 'Great Big Kiss', 'Babylon', 'Frankenstein', 'Chatterbox', 'Pirate Love', 'Downtown' and 'Pills'. I also loved all the relaxed backstage chat with the Dolls and I think that pretty much anyone whoever loved this band has to get this - it really is that good. One of the first Punk Albums, indeed, one of the first albums I ever bought, was the Phonogram 'New Wave' compilation album in 1977. It contained tracks by The Ramones, Patti Smith, New York Dolls, The Damned, Runaways, Flaming Groovies etc and was one of those records that changed forever the way I heard music. It really was amazing. One of the bands on there that blew me away were The Dead Boys - pure killer, blitzkreig Rock 'n' Roll as it should be played. They contributed 'Sonic Reducer' and 'All This and More' (the greatest Rock 'n Roll love song ever, as my friend Kim Montenegro puts it!) and these songs were so incendiary it was incredible. Given the fact I was very young, and that the band had just returned to the US, I never did see them live (although I was lucky enough to see Stiv live a dozen or so times in the '80s with the Lords), this DVD helps rectify that. It documents a great Dead Boys show at CBGB's, and they do killer versions of 'Sonic Reducer', 'All This and More', 'Not Anymore', 'Revenge', 'Flame Thrower Love', 'I Need Lunch', 'Ain't Nothin' to Do', 'What Love Is', 'High Tension Wire' and 'Search and Destroy'. 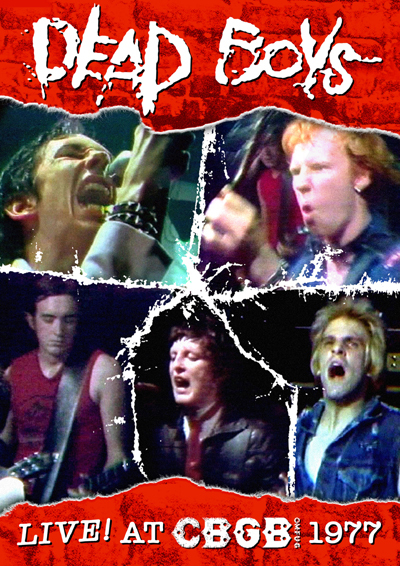 Also of note are the great interviews with the band from back in the day, and a great contemporary interview with Cheetah Chrome done only a couple of years ago. Again, like the Dolls Disc, a truly essential purchase!